Imagine a golf course that spans 1,365 kilometres and takes four days to play in its entirety. Bob Bongiorno and Alf Caputo, active members of the Eyre Highway Operators Association, came up with the idea for a golf course of such an enormous scale one evening. Their imagination was stoked by a bottle of red wine at the Balladonia Roadhouse. The long road across the barren Nullarbor Plain is pretty boring, so their idea was to spice it up with golf holes along the way. For a crazy, wine-fueled idea – it turned out pretty well. The golf course became a reality and now it adds a unique and interesting dimension to the otherwise mind-numbing drive across Australia’s vast and empty interior. It turned the drive across the huge plain into something to be enjoyed rather than endured – as well as a worldwide sensation and tourist attraction. Neither Bob nor Alf ever imagined the incredible international attention and fame that this one of a kind golf course would receive. It draws visitors from all over the world, from serious golfers to casual players who are intrigued by the novelty. The course also makes the Nullarbor Plain safer by slowing down cars on what can be a notoriously treacherous stretch of road. It’s one heck of a drive – in more ways than one – and it should be added to the travel bucket list of any golfer visiting Australia. The longest Golf Course in the world, the Nullarbor Links begins in the gold mining town of Kalgoorlie in Western Australia and ends in the coastal town of Ceduna in South Australia. It consists of seven holes in existing golf courses, as well as 11 holes that have been purpose built along the roadhouses of the Eyre Highway. The course took nine years to build and it was first tested by Australian pro golfer Len Thomas, whose score of 78 still stands as the official course record. The average distance between each of the holes is 66 kilometres – far too vast for a golf buggy to cover. (One player from India apparently managed to play it on a unicycle – although it took him three months.) Golfers have come from all over the world to attempt this course – including visitors from Canada, Germany and the USA. Since the course opened in 2009 more than 15,000 people have taken on the challenge. Most people do it in four days, but if you want to take your time and see some of the other attractions along the highway you should give yourself at least a week. This is not mini-golf – it’s maxi-golf: putting on a gargantuan scale. Each hole on this incredible golfing odyssey features a green, a tee and a vast natural outback setting. 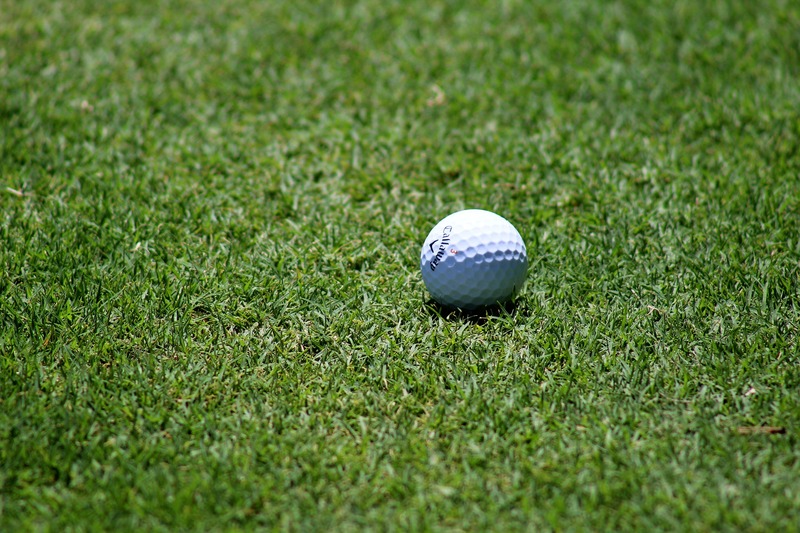 The course is clearly signposted and it is possible to hire golfing equipment at every tee. The longest hole is known as Dingo’s Den and is 538 metres. The shortest at 125 metres is Brumby’s Run. The longest distance between two holes is 200 kilometres. Some of the holes have special themes. For example, the Wombat Hole commemorates the nearby colony of Southern hairy-nosed wombats. There is also a Skylab hole that is located near Balladonia, because pieces of the spacecraft Skylab fell to earth in that area in 1979. Each of the holes has some aspect of its unique design which is connected to the area or the town it is located in. 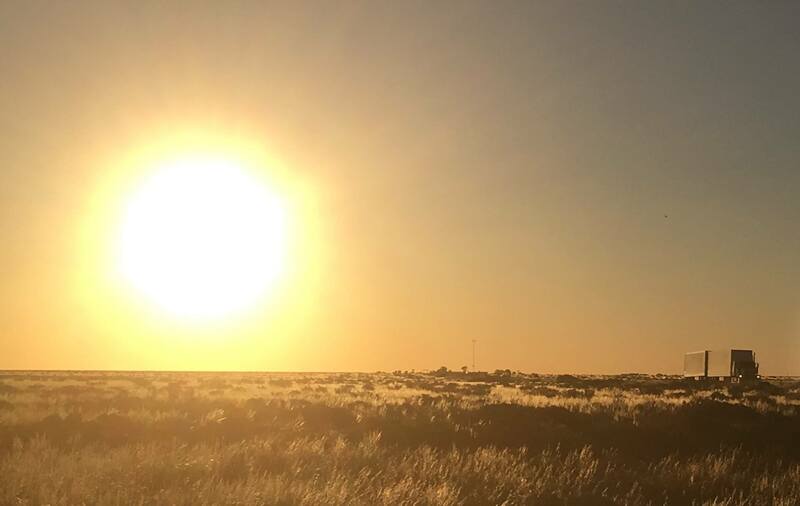 Nullarbor Links is the focus of the Chasing the Sun Golf Tournament and Festival, a week of golf and sightseeing along the Eyre Highway. The 2017 edition of the festival will commence on April 1st and participants can enter online. This fantastic tournament will take you along the entire course, with plenty of great events along the way. The fun will begin with a champagne breakfast on the foreshore at Ceduna while you watch the sunrise. You’ll stop for an Oyster Tour and Tasting at the West Eyre Shellfish Oyster Farm in Denial Bay. You’ll enjoy a bush dance at a farm stay in Coorabie where you can dance the night away to great country music. At Norseman you can enjoy a performance of traditional indigenous dances. There is even a treasure hunt on a beach with a prize of $1000. The thrilling festival commences with a toast to the setting sun at the Kalgoorlie Golf Course, as well as a dinner and a presentation of the trophies. It is truly a once in a lifetime golfing experience. If you are feeling up to the challenge, score cards can be purchased at Kalgoorlie Golf Course, which is where the first two holes are located. You can also purchase them at the visitor centres at Norseman, Ceduna or Kalgoorlie. The scorecard costs $70 AUD. You’re not likely to run into too many other players on these vast links, so take your time and really enjoy each hole without worrying about a backup. Bring your score card up to get stamped at each hole. You can bring your own clubs or rent them at each hole. The Nullarbor Plain (Latin for “no trees”) is a desolate empty space with little shade – so bring plenty of sunscreen and a wide brimmed hat to keep the broiling sunshine out of your eyes when you are lining up your shot. When you have finally completed the entire course, you will receive a certificate at the Visitor Centre in either Ceduna or Kalgoorlie, depending on which direction you played the course. Remember, you can only claim your certificate if you have received an official stamp for every hole. Once you have completed the Nullarbor Links you will have played the longest round of golf possible in the world – which is certainly something to brag about no matter what your score!